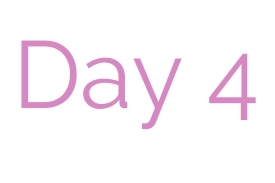 Day 4 is here. A bit shorter today,because I'm a bit tired today, but I hope you will enjoy anyway. Day 04 - Your views on religion. Honestly, I have absolutely no problem with religions nd t doesn't bother me at all. I don't have any myself, but, for example, my grandparents have and it absolutely doesn't change much. I find it disrespectful when others try to force their religion to others. Everyone has their own way how to live their life and we all need to respect that. One believes in God, other believes in something different. And it's fine. It shouldn't destroy people friendships.